In the Gambian Health Care Policy, the government states that ‘Health is Wealth’. Many diseases and conditions can be prevented or treated to make a healthier nation. Our desire is that the children in the schools are helped to be healthy and this will affect their families. 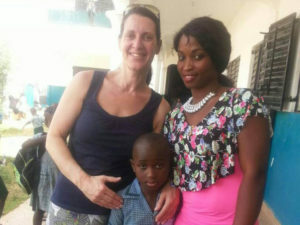 Our nurse, Janvier Jatta, a former New Life student and now a trained nurse, has been employed. 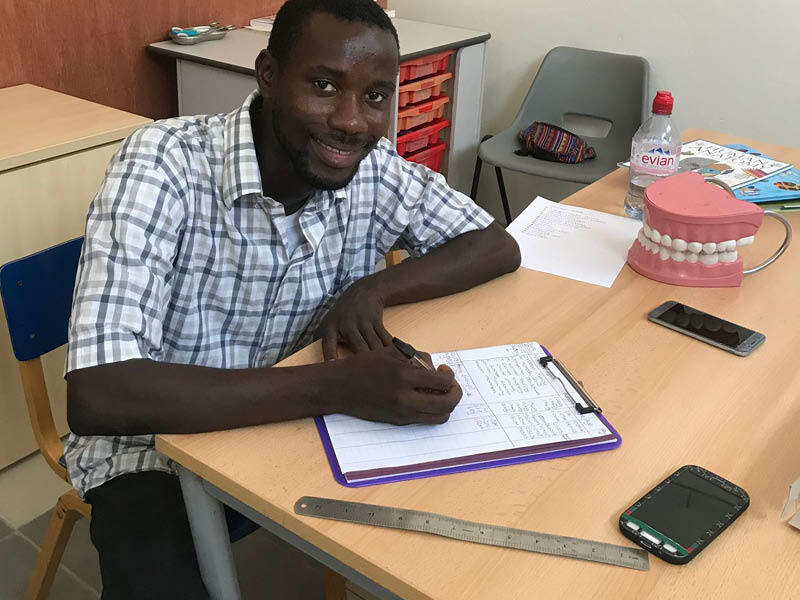 He will soon be joined by another former student, Ramatoulie Jallow, who is completing her three years training through our sponsorship programme in the School of Nursing in Banjul in July. 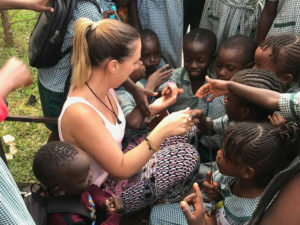 They will work between the two schools to promote a healthy lifestyle by example and in both formal and informal teaching. Topics will include the importance of hand washing, personal hygiene, diet, life style, prevention of infection and care of the environment. The nurses will monitor the health of the children and work between the two schools. Ideally all children should be weighed and their heights measured annually as well as any signs of malnutrition and obesity identified and advice given. This is a huge task! 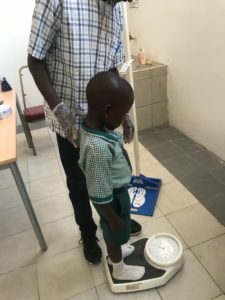 In November the new nursery children at Kanifing were weighed and measured, so a start was made.Treatment will be given for minor problems and referrals made for further treatment where necessary. The First Aid Room at Kanifing has moved into a more spacious place and it has useful resources. The nurses will use part of the library at Half Dye School as a first aid facility. 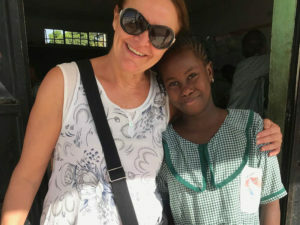 Margaret is a retired midwife tutor who has worked previously in Africa and is a valuable member of the Board of Trustees of NLCC in the UK. She has taken on the responsibility of ensuring that we provide an excellent level of care for our children.